As the planet becomes increasingly crowded, sometimes all we want is a small space to call our own - and the Cocoon 1 by Micasa Lab is just that. It's not designed for full-time living, but this tiny bubble dwelling is comfortable enough for hours of reading, cooking or even working. The transparent bubble comes with a variety of modules that give the space a great deal of flexibility. 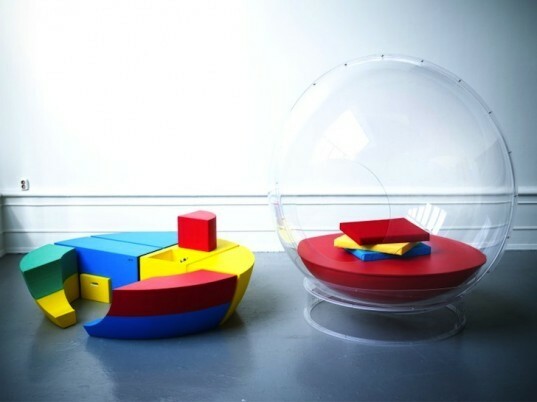 Cocoon 1 measures 180cm in diameter and comes with three basic (and colorful) modules, including the 360 foundation that keeps the ball from rolling away with you in it and two pillow 90 modules that allow for either sleeping or storage. A variety of other modules are available too, as well as some that make it possible to cook meals and power Wi-Fi. Big enough for a person to enjoy comfortably but small enough to fit it a room, the Cocoon 1 can be elevated or even hung from a tree in a net. There can even be a village of Cocoons that carry up to 200 kg in the net. On the ground it can handle loads of up to 250 kg. Designed in Switzerland, the Cocoon 1 is expected to be available for purchase in the Fall of 2013 with a retail price of $2990. It’s not cheap, but it is definitely fun. 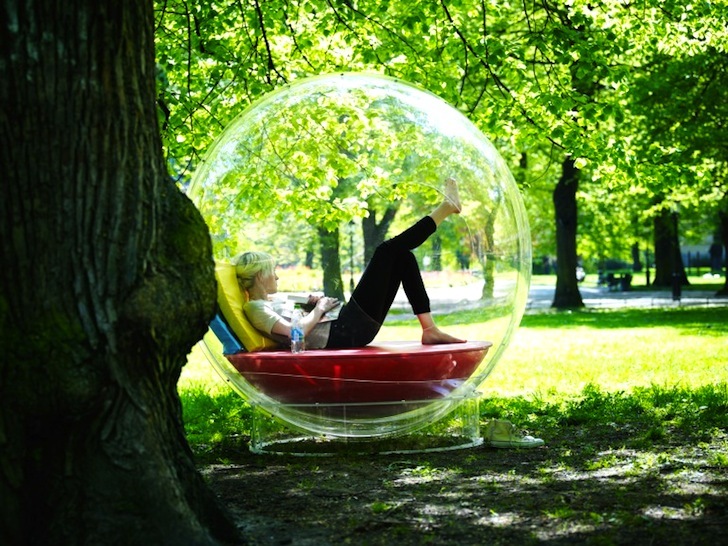 A 360 degree stand keeps the bubble from rolling away with you in it!